Last year, yarn pooling or color pooling became a HUGE trend among the crochet community. I never really got the hang of it but there was no lack of trying there. So, when I received the opportunity to review Yarn Pooling Made Easy by the amazing Marly Bird, I jumped at the chance to learn from a master. Yarn Pooling Made Easy teaches you how to turn variegated yarn into something truly amazing with a simple stitch pattern! Not only does Marly teach you how to complete a planned yarn pooling project, she also has included 10 gorgeous crochet patterns in the book. If you have never heard of the trend and want to try it out now or have tried before and failed (like me!) you will definitely want to add Yarn Pooling Made Easy to your library. I was provided a complimentary copy of this book from the publisher to complete my review, but was not financially compensated in any way to write a favorable review. All opinions expressed in this post are my own. This post also contains affiliate links. I receive compensation from purchases made through these links. This small contribution helps support The Stitchin’ Mommy and allows me to bring you more great posts! Excerpted from Yarn Pooling Made Easy by Marly Bird. Copyright © 2017 Leisure Arts, Inc. Used with permission from the publisher. All rights reserved. Published by: Leisure Arts, Inc. The projects in this book are all created with various kinds of Red Heart variegated yarn which work well with the color pooling “formula.” The projects are all unique and there is such a great variety of patterns, so there is something for everyone! The patterns in this book are written in standard US crochet terms. Each pattern includes a “Shopping List” with yarn, hook, and other supply information. The patterns also have gauge information including instructions on how to create the gauge swatch. There is also a stitch guide with instructions for the Moss Stitch, which is used in all of the patterns. The instructions are all clearly written and easy to understand. In the book, Marly also includes the link to her amazing Planned Pooling video playlist on YouTube. She also has some great tips on her blog to help you along your planned pooling journey! A huge thank you to Marly Bird and Leisure Arts for providing both the review copy and giveaway copy of Yarn Pooling Made Easy and allowing me to give this amazing book away to one of my lucky readers! Use the Rafflecopter form below to enter. The giveaway is open to US residents only and will end on September 17, 2017 at 11:59pm ET. Please read all giveaway rules before entering. Good luck to you all! The Stitchin’ Mommy: September 7, 2017 <– That’s me! In addition to the giveaways hosted by the bloggers above, Marly will be hosting a giveaway each day of the 10-day blog tour for Planned Pooling Made Easy! You can find Marly’s daily giveaways on her YouTube channel. Thanks for reviewing this book. I’ve wanted to try yarn pooling but have been intimidated by it. Maybe I’ll give it a try. This is one thing I have yet to tackle. I look forward reading and learning all I can about yarn pooling. The review is what made me want this book and of course it’s by Marly Bird, now that lady can craft. Thanks Stitch mommy for steering me in the right direction. My Daughter showed me this book and I just can hardly believe that this can be done! Fascinating concept and since I am a doubter, I appreciate the review and so in the next year want to give this technique a try. Thanks so much! What a great book, I’ve always wanted to learn how to yarn pool! as much as I enjoy this yarn pooling,its not always the easiest to get started. You think you got it then Bam it all starts to change. So maybe I should get this book. I have a wanted to try yarn pooling. After reading your review I think I will definitely be giving it try. I love all the different crochet projects. You always give me such great ideas. Something to try out! Thank you! I would love to try yarn pooling one day. I love the look of yarn pooling but haven’t got it down yet and would love anything that would make it easier. I’m obsessed with yarn pooling and Marly Bird is the best! This looks like a great book! Looks like a fun technique to learn! I’ve always been afraid to try this. Now I am inspired. I haven’t tried yarn pooling but would like to. These are some very nice patterns. Beautiful work. Thank you. I need to get supplies to try Yarn pooling it looks amazing! Thank you for the review. This is something I really want to try. I’ve tried several techniques on yarn pooling with no luck. I hope this book will help! I tried yarn pooling without much success, this book shows some great ideas and tips. I love the yarn pooling book! I’ve always wanted to learn how to do this. Thank you for making it easy for us! Your review of this book has given me the inspiration to try colour blocking – something I’ve been nervous to try. Also, I will be getting a copy of this book, having also see photos of some of the projects. Still trying to figure out pooling. I think this lady would be a great designer to learn Yarn pooling from, thanks for the book review!! Would like to learn Yarn Pooling. Looks like a challenge that’ll be fun to do. Really looking forward to giving this a shot now. Thanks for the review! I am really interested in yarn pooling and your review makes me want to try it again-maybe this time I can figure it out. I think she is the best in explaining yarn pooling. Thanks for the review! I’ve tried different techniques for yarn pooling with no luck. Maybe this book will help! I love your review of Marly’s yarn pooling book. I definitely want to give this a try! Planned pooling is one of the best yarn techniques ever !! These patterns looks so fun!! this was a fun fade last year, and I actually was able to make a few scarfs and dishtowels that looked terrific with the pooling. I remember way back when I was learning to crochet and knit from my Mom, how she told me if I adjusted my tension and kept it consistent, I’d see a pattern emerge as I went … this is what she meant. I like the idea of yarn pooling made easy because it seems so complicated to me. Looks like something I would like to try. I’m so confused by spooling I think this would be a good one to check out. I haven’t tried yarn pooling yet, and wouldn’t know how so this book would be really useful. I see it has some great patterns in it too, not just scarves. I have been too intimidated to try yarn pooling but now with the help of this book I will be ready to give it a try! I love watching Marly’s videos, so I’m sure her book will be great. Thanks for the review! I love the look of yarn pooling. The easiest explanation of yarn pooling was done by Marly Bird. This is a technique I have been wanting to try for a while now. This book looks like the perfect thing to get me doing it. Gosh. I’ve been wanting to try yarn pooling! It’s so intimidating though! I’ve been wanting to try yarn pooling. This will give me some motivation! 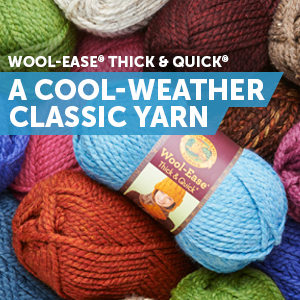 Yarn pooling fascinates me – from reading your review, I will have to give it a try! I’m excited to try yarn pooling. The scarf looks gorgeous. I had no idea what yarnpooling was until I read your review-thanks!! I’d love to try yarn pooling, this book would really help!! Thank you for the review, her blog is wonderful. Thanks for the hint to check out her page. I may have to check this out. I love the look of yarn pooling but not sure I could do it. I have been stymied by this technique, but it sounds like this book may help. I really need to give this a try. thanks for the book.